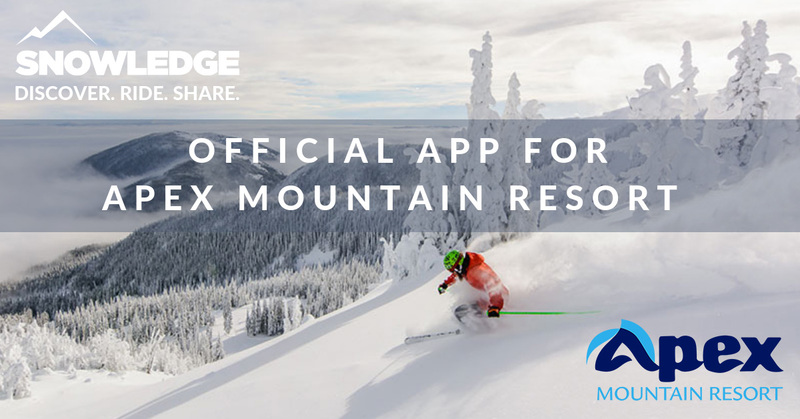 We’re excited to announce that Snowledge is the official app for Apex Mountain Resort! 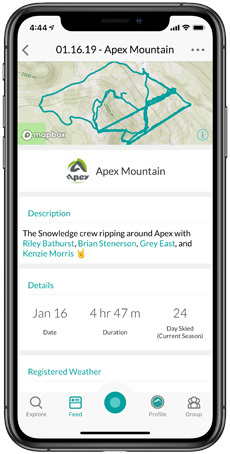 Snowledge is the only app you need on the mountain, and it’s free. Use GPS to get real-time resort info, track your day on the slopes, and easily find and locate your friends and family. Be in the snow, #SnowledgeIsPowder! View current snow conditions, and research info on nearby resorts, offers, and current contests. 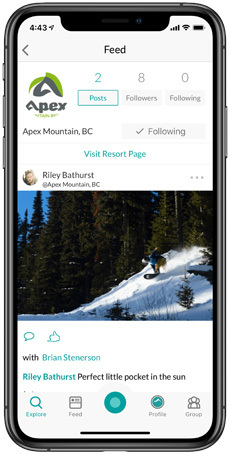 Stay connected with friends, family, and your favorite resorts, and see what skiers and riders around the world are up to. 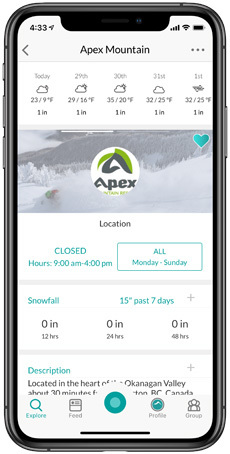 Find your friends on the mountain and track your day with stats, recorded weather, and maps showing runs skied. Customize your profile, bio, and gallery, and view detailed activity summaries of your days skied. Get lift status updates, conditions, and parking information, as well as offers and contests from your favorite resorts.